This book stems from thirty-two years in teaching. It aims to take parents into the child’s learning environment without the stress which some parents have of schools and teachers and to show them some key aspects of schooling which can have a lasting effect on a child’s education and life chances. I do not intend to lecture to parents on how they ought to bring up their children. Instead, I merely set out to provide them with some of the tools with which to enhance their children’s success at school a kind of tool-kit. It is not meant to be a blueprint for success but an aid to success. 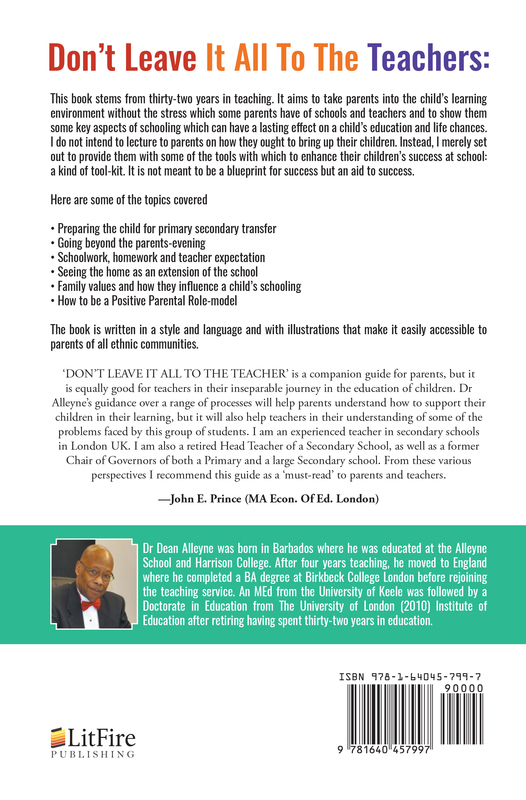 The book is written in a style and language and with illustrations that make it easily accessible to parents of all ethnic communities. is equally good for teachers in their inseparable journey in the education of children. 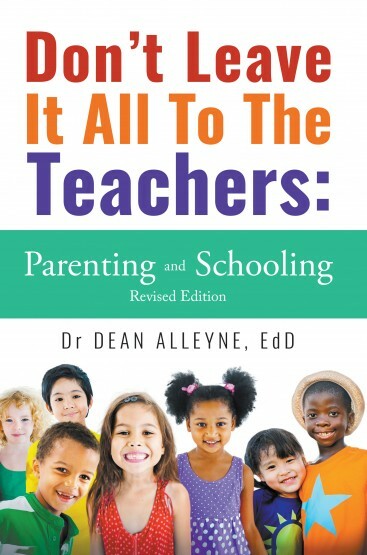 perspectives I recommend this guide as a ‘must-read’ to parents and teachers. Dr Dean Alleyne was born in Barbados where he was educated at the Alleyne School and Harrison College. After four years teaching, he moved to England where he completed a BA degree at Birkbeck College London before rejoining the teaching service. An MEd from the University of Keele was followed by a Doctorate in Education from The University of London (2010) Institute of Education after retiring having spent thirty-two years in education.